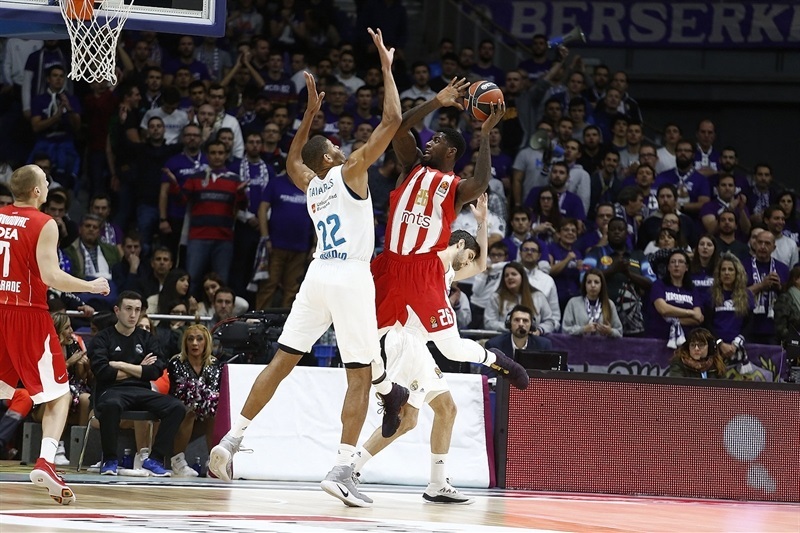 In a thrilling showdown that went down to the wire, Crvena Zvezda mts Belgrade bounced back from recent losses by downing Real Madrid 83-87 on the road in the Spanish capital on Friday. Zvezda improved to 3-7 in the Turkish Airlines EuroLeague standings while Madrid dropped to 5-5. Taylor Rochestie paced the winners with 18 points. Milko Bjelica added 16, Pero Antic had 11 while Ognjen Dobric and James Feldeine each got 10 for Zvezda. Luka Doncic led Madrid with 20 points. 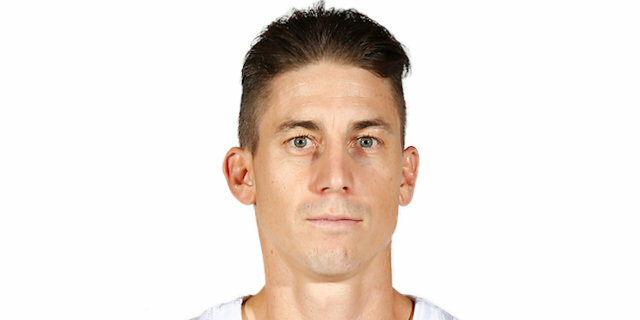 Jaycee Carroll added 12 while Rudy Fernandez and Trey Thompkins each had 10 for the hosts. Three-pointers by Rochestie and Bjelica gave Zvezda an early 10-14 lead. 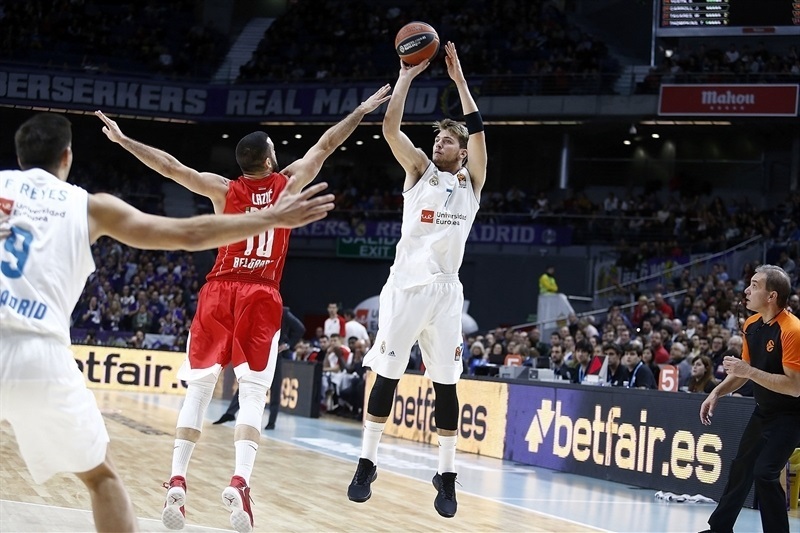 Doncic came off the bench, scoring 12 points in less than 5 minutes to put Madrid ahead, 24-19, after 10 minutes. Bjelica and Rochestie kept pacing Zvezda, and they got help from Dobric and Branko Lazic to let Zvezda regain a 39-46 margin at halftime. Three-pointers by Feldeine, Rochestie and Antic boosted the guests' margin to 47-60 late in the third quarter. Fernandez and Carroll stepped up and a layup by Felipe Reyes made it a one-point game, 83-84, already in the final minutes. Antic struck from downtown with 7.7 seconds left to seal Zvezda's big road win in style. Zvezda hit 17 three-point shots, setting a club record and matching the high in the EuroLeague this season. 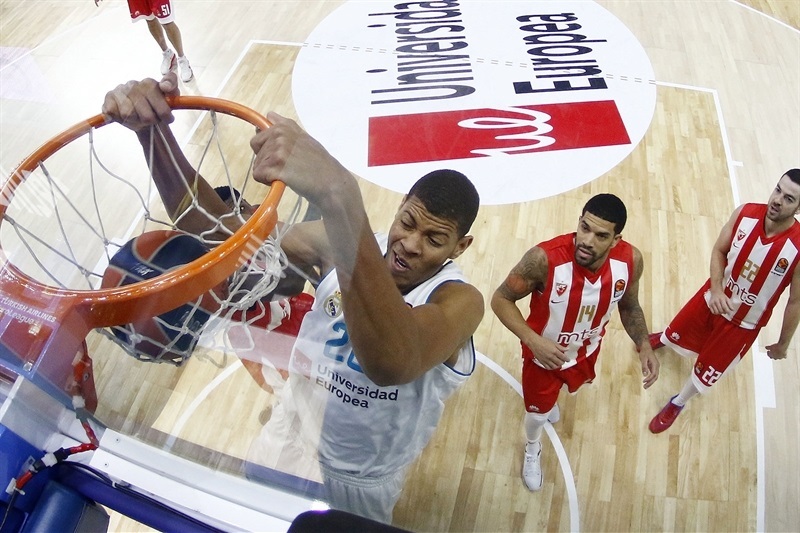 Rochestie bettered Walter Tavares's dunk with a triple to give Zvezda an early 2-3 lead. Santi Yusta and Thompkins each struck from downtown but Mathias Lessort singlehandedly kept the guests within 8-6. 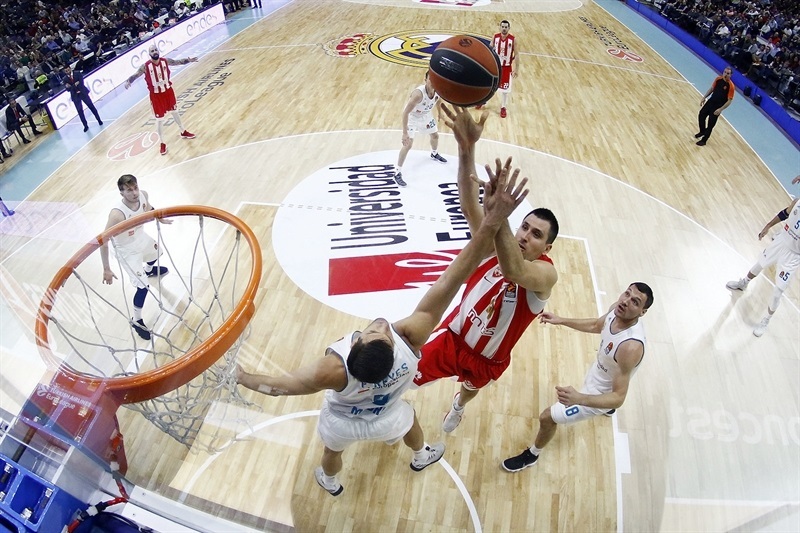 Dejan Davidovac made free throws and a three-pointer by Bjelica forced a Madrid timeout at 8-11. Doncic took over with a jumper, a fastbreak slam and a step-back triple to put Madrid ahead, 17-16. 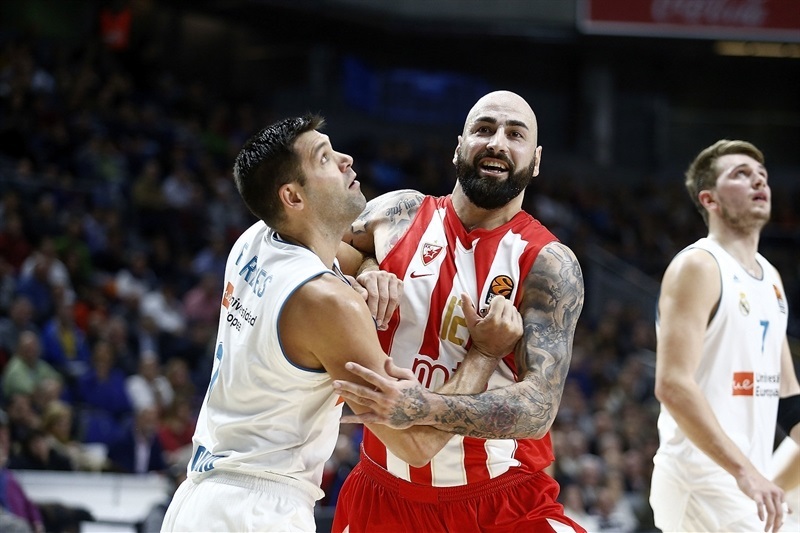 Antic answered from beyond the arc but Carroll and an unstoppable Doncic gave Madrid a 24-19 lead after 10 minutes. Bjelica followed a layup with a three-pointer early in the second quarter. Dobric also struck from downtown at 28-27. Zvezda found its go-to guy in Rochestie, who scored twice in penetration and added an off-balance jumper to put the guests back ahead, 32-36. 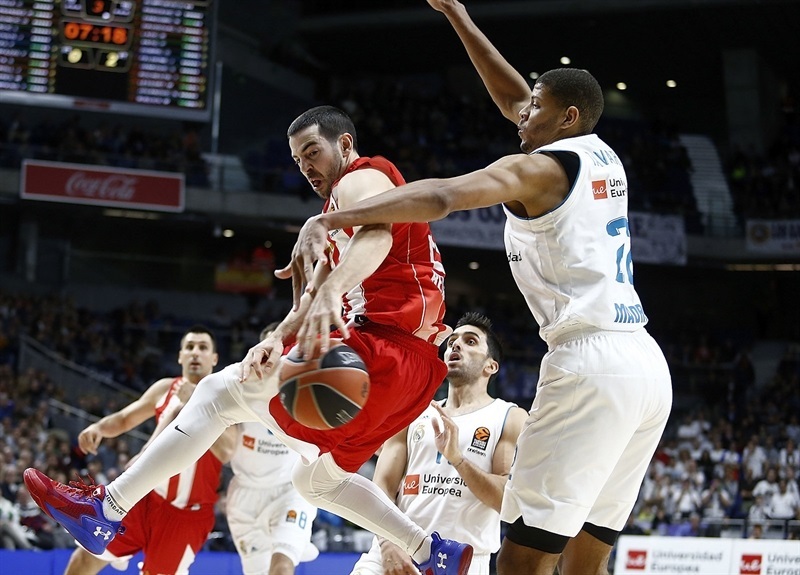 Fabien Causeur and Facu Campazzo tried to change things for Madrid but Lazic, Feldeine and an unstoppable Rochestie boosted Zvezda's lead to 39-46 at halftime. Causeur hit a jumper right after the break but back-to-back triples by Feldeine made it a double-digit game, 41-52. 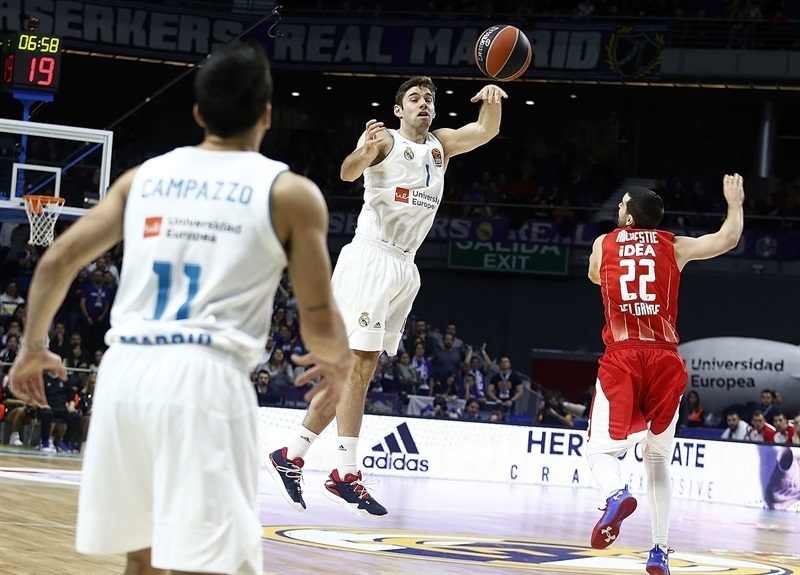 Campazzo and Doncic fueled a 6-0 Madrid run that Tavares capped with a slam, but Rochestie and Bjelica restored a 47-57 Zvezda margin. 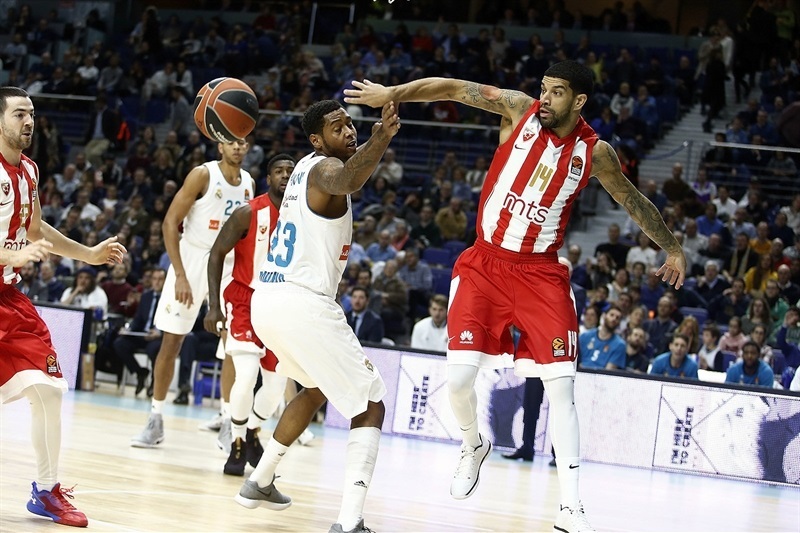 Antic capped an 0-8 run with a three-pointer but Doncic and Chasson Randle gave Madrid hope at 54-63. A six-meter jumper by Dobric and a power layup by Davidovac kept Zvezda way ahead, 58-67, after 30 minutes. Fernandez and Carroll combined for all points in an 8-0 run that brought Madrid as close as 66-67 with 8 minutes to go. However, Rochestie hit a triple and Nemanja Dangubic struck twice from downtown to give Zvezda plenty of fresh air at 69-76. Thompkins, Dobric and Carroll joined the three-point shootout and free throws by Fernandez and Doncic tied the game, 79-79, with 2:40 left. 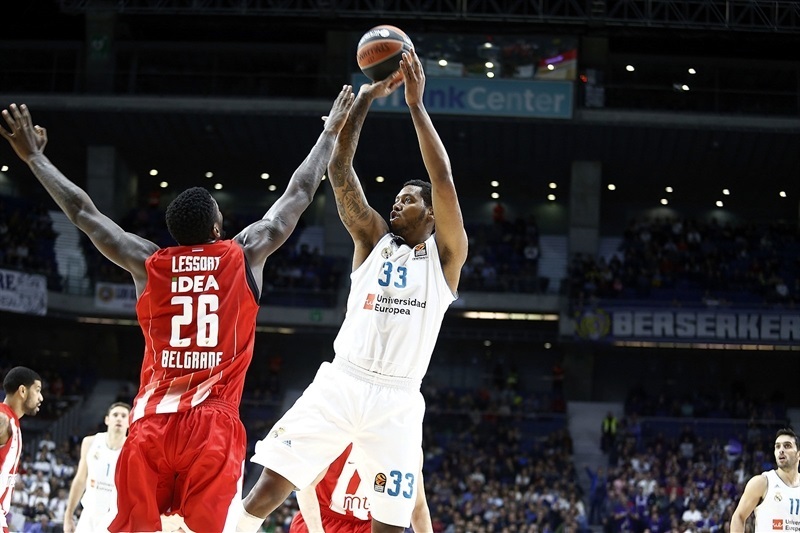 Feldeine scored in penetration, Davidovac added free throws but Doncic and Reyes kept Madrid within 83-84. Reyes collected a steal but Doncic turned the ball over, and a big three-pointer by Antic sealed the outcome with 7.7 seconds left, allowing Zvezda to celebrate a truly historical win! 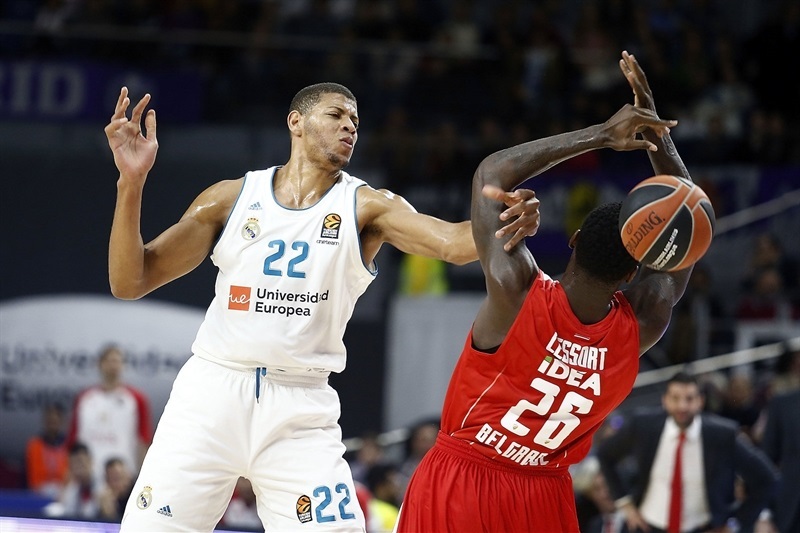 Both teams return to Turkish Airlines EuroLeague action next Friday as Zvezda hosts Anadolu Efes Istanbul while Madrid visits Olympiacos Piraeus in a rematch of the 2013 and 2015 finals. 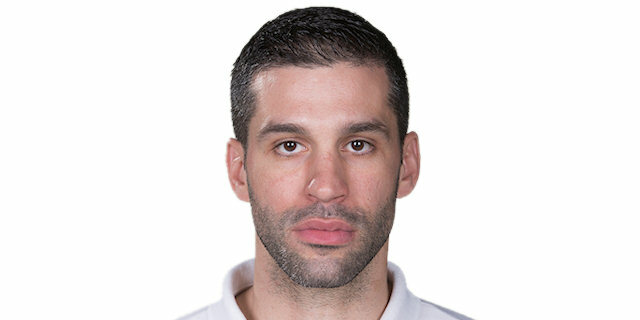 "First of all, I would like to congratulate Crvena Zvezda for the win. I think there were two statistical aspects that made the difference. They scored 17 three-pointers and were averaging 7.5 before this game. Tonight, they scored 17 with a very good percentage. They moved the ball well and hit those shots. 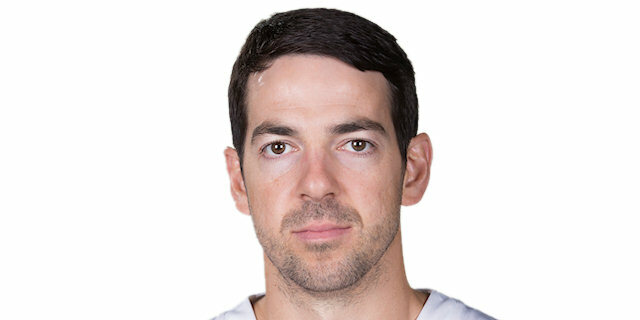 Then we had 14 turnovers, which is a high number, too many. We already had five turnovers in the opening four minutes. Statistically, these are two aspects that were difficult to overcome. I had the feeling that our first half was bad - lack of rhythm, playing slowly, with no aggression on defense or offense. 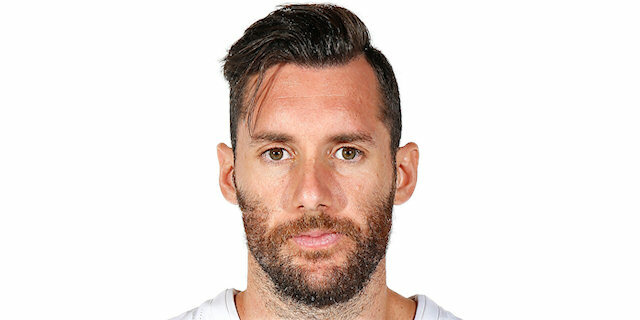 I think the first half made the difference because after that, we did better in the second half but they already had confidence and even when we were close to winning in the game's final possessions, we couldn't do it. We knew the EuroLeague is tough - all the teams are talented and Zvezda proved it today. It came on a losing streak but played a great game. We have to be as positive as we can be after a loss, knowing there is still a long road ahead of us. We have to take one game at a time, but losing at home is always painful." "We had seven days to practice and now we must continue to grow. Immediately, after seven days, we see some things - for example, we are more aggressive than we were before, and played much better, much smarter on offense, so I am happy because of that. Real Madrid made one big change [during the game] - they played with four small players and Luka [Doncic] at '4'. It was a problem for us at first and we needed to have confidence in our shots. We continued to play good defense, as much as we could." "Our feelings are great, of course, because we beat Real Madrid, a really big and great team, in Madrid. It is a very important win for us because we had a bad period after Round 5. The keys are always the small things - team spirit, team play...we played very smart, especially on the pick and roll, because we knew they defend in drop, so it is very good for us. I am really happy because of that." "We have to learn from our mistakes. Even when we improved or did well in the game against Panathinaikos, we were not aggressive in the first half. We were very soft on defense and that is what gave them confidence. I believe that, in the final 10 minutes, we were tougher on defense, finding good outside shots but in the end, Antic hit that three-point shot that sealed the outcome. They played really well in the first half and we did really bad. After that, we played with a lot of courage in the final 10 minutes but couldn't get the win. Injuries are not an excuse, we still have a very good team, so we have to keep improving. I think we had a good week of practice but we didn't play well tonight." "We were more physical and fought harder in the second half but we had to come back from a big margin. It is difficult to win when your opponent hits 17 three-point shots. We should have contested the shots better and this is something we will have to learn from this game. We have a team with a lot of new players, young players who have to keep growing. We have to keep learning in every game." "We feel great. We have been working really hard in practice. We had lost a couple of games in a row so we were really hungry and came in here with a lot of confidence. We played as a team and came out with the win. It is a team - Pero [Antic] hit the big shot at the end and the whole team came together. We fought hard and this is a good one."